A 2011 invention made by Aalto University's researchers has proceeded from concept to reality. Just a few years ago the researchers obtained the record efficiency of 22% in the lab for nanostructured solar cells using atomic layer deposition, and now with the help of industrial partners and joint European collaboration, the first prototype modules have been manufactured on an industrial production line. "Our timing could not have been better" prof. Hele Savin, who led the research, was pleased to tell. 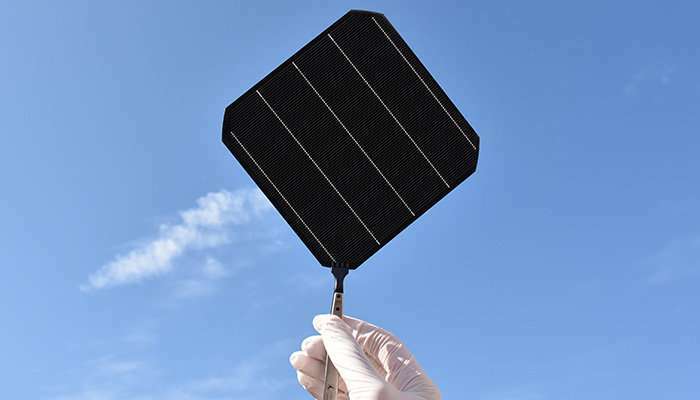 Indeed, 2018 is commonly called the "Year of Black Silicon" due to its rapid expansion in the photovoltaic (PV) industry. It has enabled the use of diamond-wire sawing in multicrystalline silicon, which reduces costs and environmental impact. However, there is still plenty of room for improvement as the current black silicon used in industry consists of shallow nanostructures that leads to sub-optimal optical properties and requires a separate antireflection coating. Aalto's approach consists of using deep needle-like nanostructures to make an optically perfect surface that eliminates the need for the antireflection coatings. Their industrial production, however, was not an easy task. "We were worried that such a fragile structure would not survive the multi-step mass production, because of rough handling by robots or module lamination." Luckily the concerns were proven not to be an issue. The cells and modules were truly black when they came out from production and had no signs of damage. 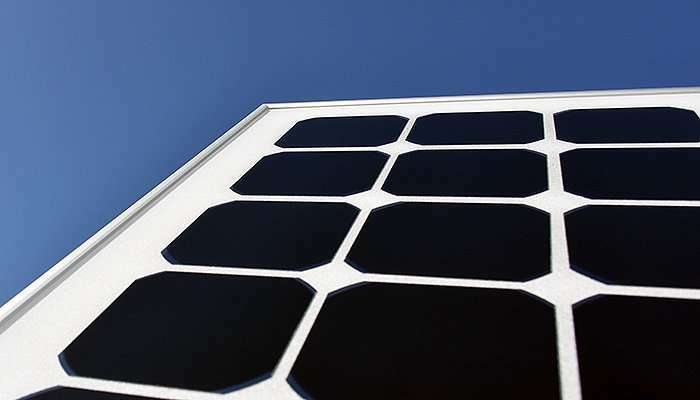 The best module was producing energy with more than 20% efficiency. In addition to excellent optical properties, the researchers were positively surprised that their black cells had additional unexpected benefits such as a high tolerance towards impurities and much better long-term stability as compared to the industry standard reference cells. How expensive is black silicon technology? "Questions related to techno-economical analysis are always difficult, especially for material scientists like us. Luckily, we got help from people with related expertise." Savin answers. The project partners provided data to prof. Joshua Pearce at Michigan Tech University, whose preliminary calculations indicate that while deep nanostructures are expensive to fabricate, the higher performance of the end product could balance out the total costs, e.g. due to a lower amount of process steps. Wow! An article following up on a previous invention. YAY! Looks like this is just pilot production though, so there are still hurdles.